From 4 – 5 April 2017, energy practitioners from all over the world met in Accra, Ghana, for the Clean Energy Summit – Africa. 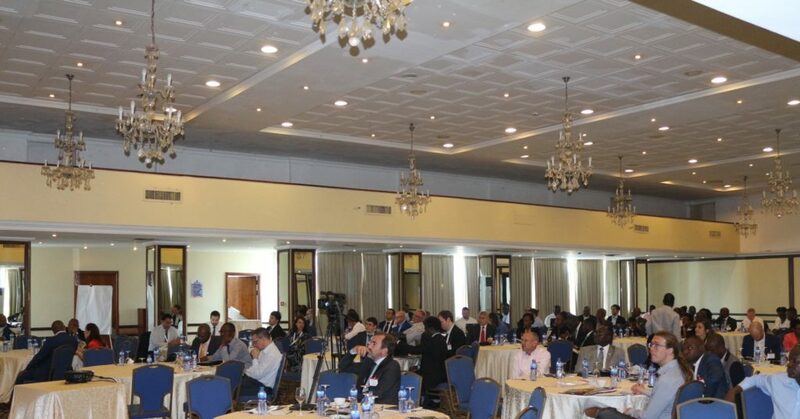 The event took place at the La Palma Royale Hotel, bringing together government ministries, financiers and investors, innovative micro-grid operators and large energy users, with the objective of learning of new opportunities in Africa’s energy sector. The panels and roundtable discussions covered topics on multi-megawatt solar projects, large scale wind, solar lighting, solar home systems, microgrids, electricity storage, energy efficient appliances, metering, grid connections, water, biomass and, of course, gender in the energy sector. Although a technology focused event, two of the sessions held at the event focused on increasing women’s participation in the sector. These events were the ECREEE – African Development Bank (AfDB) Roundtable on ‘Investible Opportunities in the Energy Value Chain for Women in West Africa’ and the panel on ‘Encouraging more women in the renewable energy industry’. The roundtable on ‘Investible Opportunities in the Energy Value Chain for Women in West Africa’ provided a platform to present the ongoing AfDB-NEPAD-ECOWAS project ‘Feasibility Study on Business Opportunities for Women in a Changing Energy Value Chain in West Africa’, which seeks to ensure that the ECOWAS region meets its goal of universal energy access for its over 300 million people, by developing a gender responsive, regional energy market development strategy that taps into the innate entrepreneurial capacity of ECOWAS women, using this to increase the establishment of energy businesses and deployment of energy technologies to meet the energy needs of the region’s largely unserved population. The project was presented by Monica Maduekwe, ECOW-GEN coordinator at ECREEE, and Dana Elhassan, Senior Gender Expert at AfDB. The presentation and discussions served to gain insights from the participants on: 1) non-traditional avenues of letting women entrepreneurs know of the opportunity and getting them involved, 2) traditional energy business segments women are involved in and new areas that women’s participation maybe growing in as well as areas where women’s participation could grow in, 3) challenges to be expected in trying to encourage women entrepreneurs to branch into the energy sector and how to prepare for this. The discussions revealed that new opportunities are coming up in the energy and information, communication and technology (ICT) sub-sector. It was also suggested that energy modelling, forecasting and strategy development; consulting involving project development and design; technology fabrication, were all areas women businesses could succeed in, once the necessary support was made available to women entrepreneurs. The second event, that is the panel sessions on ‘Encouraging more women into the Renewable Energy Industry’, provided the opportunity to present to the participants ECREEE’s work in the area and to receive feedback on areas ECREEE could improve upon. The session was facilitated by Monica Maduekwe who covered topics related to the ECOW-GEN programme, the regional policy on Gender Mainstreaming in Energy Access as well the ECOW-GEN Facility. Recommendations from the session showed that ECREEE is on the right path. These include the suggestion to give visibility to women-led energy projects; establishing a gender-sensitive grant facility for women led projects; promoting vocational training, especially in energy finance, technology and business management; establishing legal instruments that promoted women’s interest and supporting girls in STEM – Science, technology, engineering and mathematics; all areas already being done by ECREEE and which will be implemented further at the national level through the regional policy.